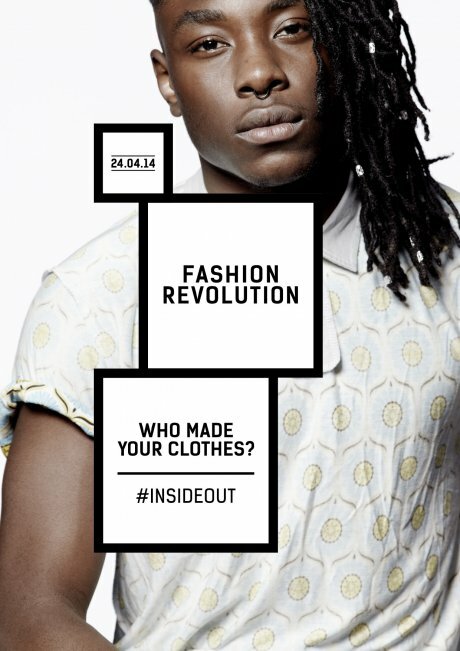 In just under two months, the first ever Fashion Revolution Day will take place. The 24th April 2013 saw the collapse of the Rana Plaza factory in Dhaka, Bangladesh. 1133 people were killed. The injured and the relatives of those who died continue to suffer, not least because many still await compensation. Millions more world-wide risk their lives each day working in the garment industry. In support of Fashion Revolution Day we will be posting more of the interviews on the site in the run up to the 24th April. Please do leave comments below, as we would love to hear what you think about the interviews, and don’t forget to tell us who made your clothes too. We will also have more details about our plans for the day on the blog over the coming weeks. There are events going on across the world on 24th April, so to find out more, see what’s happening in your area or plan your own event visit www.fashionrevolution.org. In fact, you can help spread awareness of Fashion Revolution now by wearing an item of clothing inside out, photographing it and then sharing it, along with its story and the hashtag #insideout on Twitter. Thank you Wendy for sharing the story of who made your clothes!